How to Fix “Pin to Start” and “Unpin from Start” in Windows 10? Windows 10 operating system comes with beautiful Tiles. You can pin any file, folder, .exe file or a shortcut of .exe file to the Start menu. When you right click on any file / folder, you get an option in context menu “Pin to Start”. In similar ways, when you right-click on any Pinned item in the Start menu, you get an option to “Unpin from Start”. 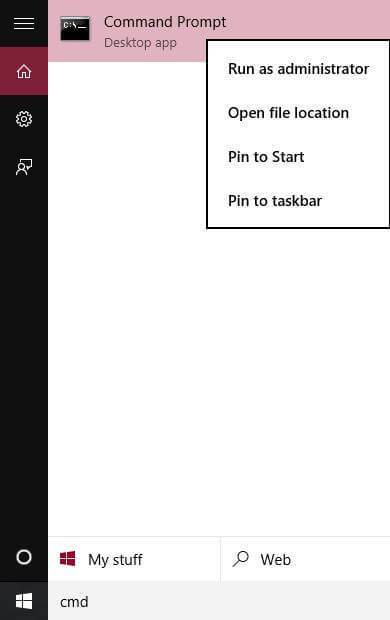 Sometimes you may find that “Pin to Start” or “Unpin from Start” option is missing from your Windows 10. It may happen due to two Policy settings changes : NoChangeStartMenu and LockedStartLayout would remove the Pin to Start right-click menu option. Your network administrator may disable this option if you are connected to a domain or you have set these policies. If not , then maybe some third party tools have changed the registry-based settings. 1. Click on start button and type cmd in the search box. 2. From the results, right-click on Command Prompt and choose Run as Administrator. If UAC prompts, then click Yes. 3. Under command prompt window type PowerShell and press Enter from keyboard. Press Enter from the keyboard. It will start processing. 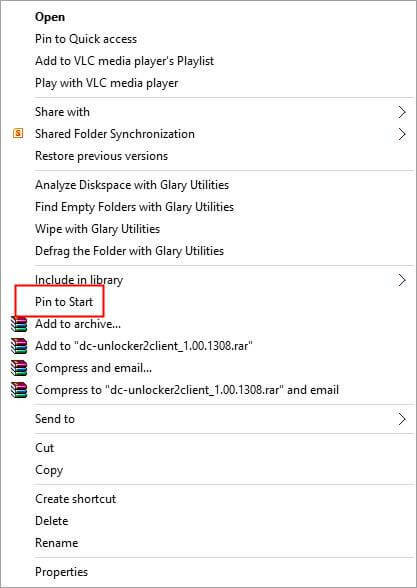 To restore the ‘Pin to Start’ and ‘Unpin from Start’ option to the right-click context menu, download win10_pin_to_start.zip, unzip and run the enclosed REG file. It will fix both missing options ‘Pin to Start’ and ‘Unpin from Start’. This registry file will clear both Policy settings and restores the Pin to Start context menu handler entry in the registry. For more issues in Start menu, use Start Menu Repair / Troubleshooter tool. Previous articleHow to Enable Windows 8’s Metro-Style Print Panel in Windows 10? 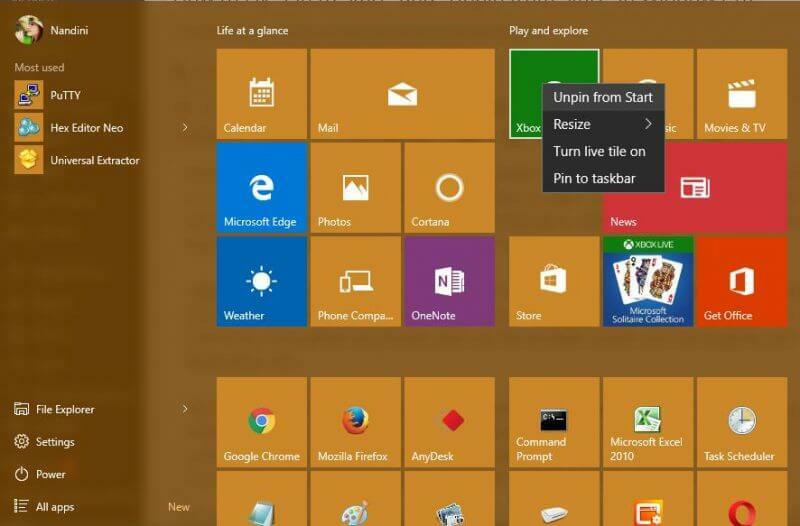 Next articleHow to Fix the Blank Start Menu Tiles in Windows 10?